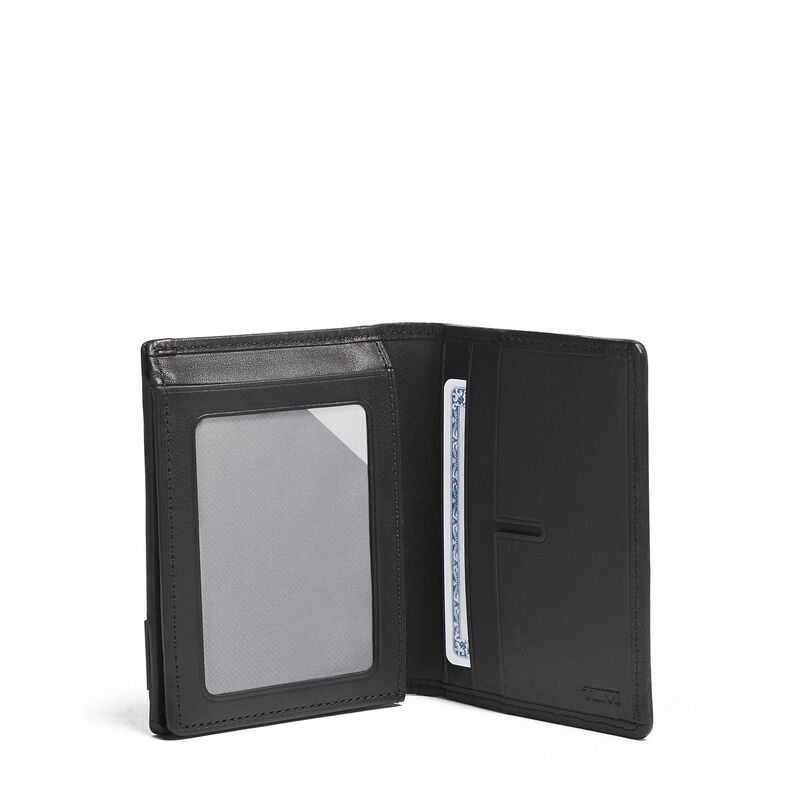 This Alpha collection wallet features Tumi ID Lock™, a proprietary technology built into the lining that is designed to protect personal data encoded on most ID's, credit cards and passports. 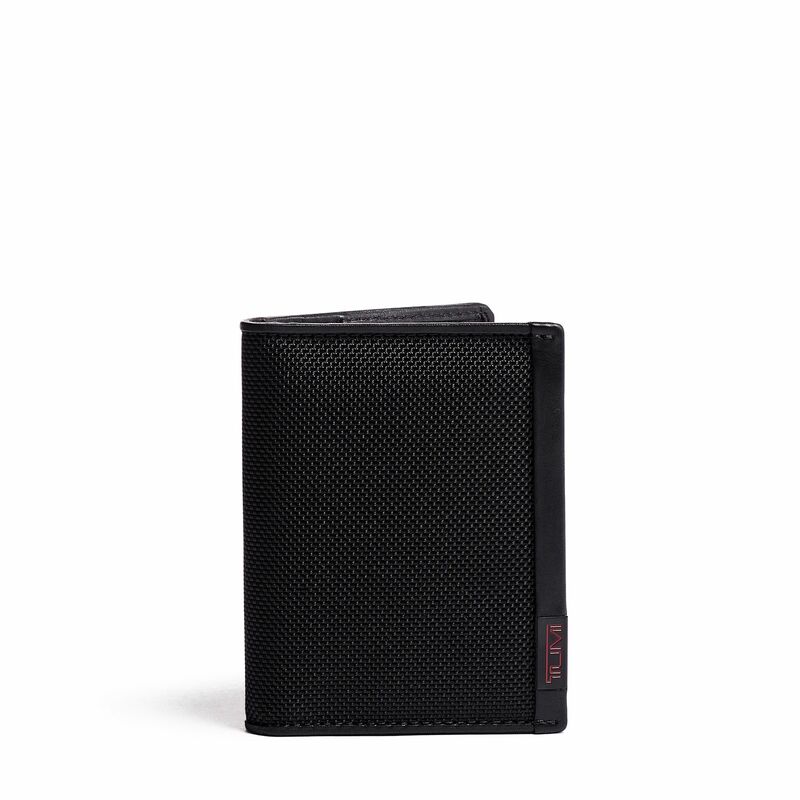 The wallet is crafted from Tumi's signature ballistic nylon fabric with leather trim. 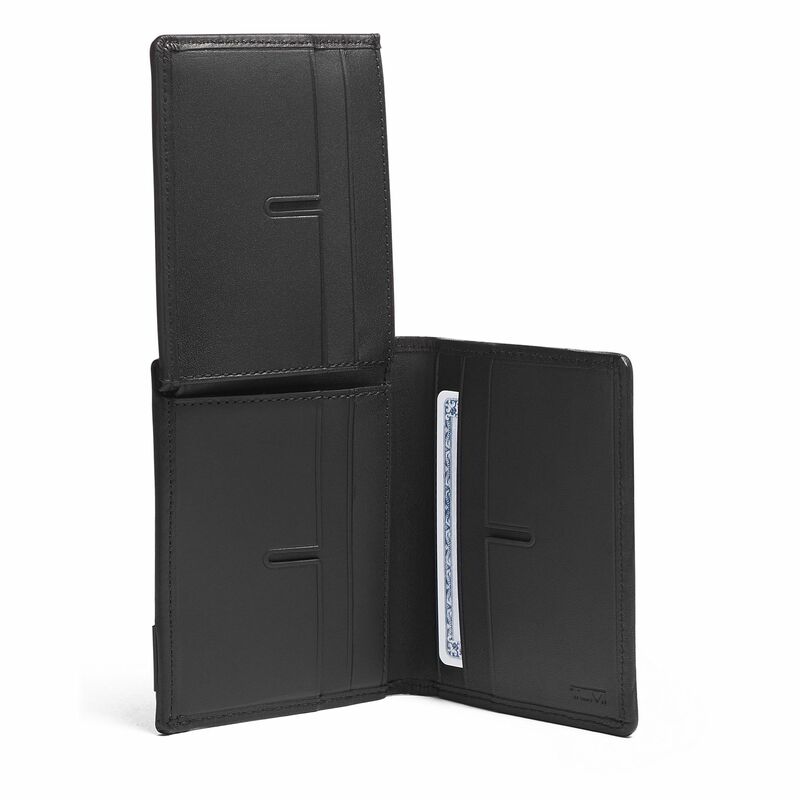 Other features include: six credit card slots, I.D. window, and bill compartment. Comes in an elegant gift box.